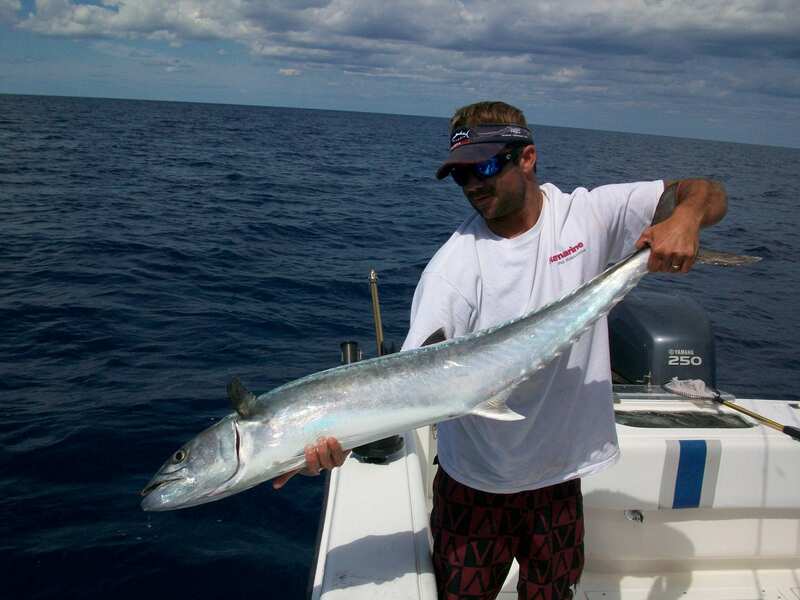 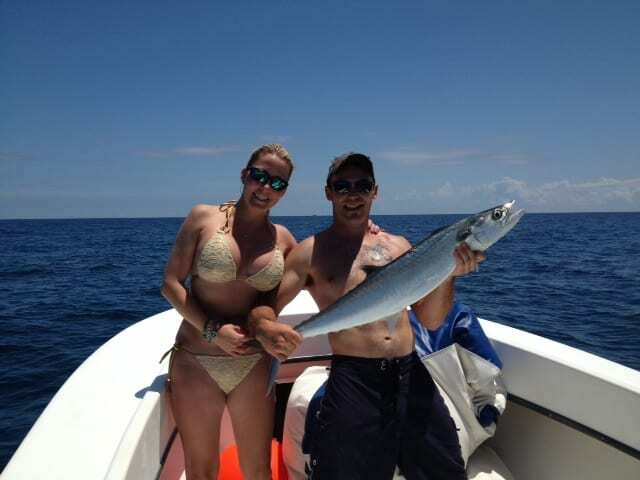 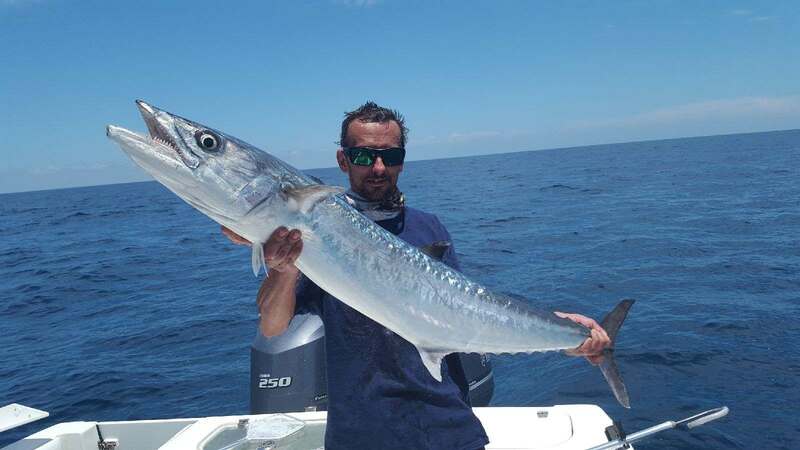 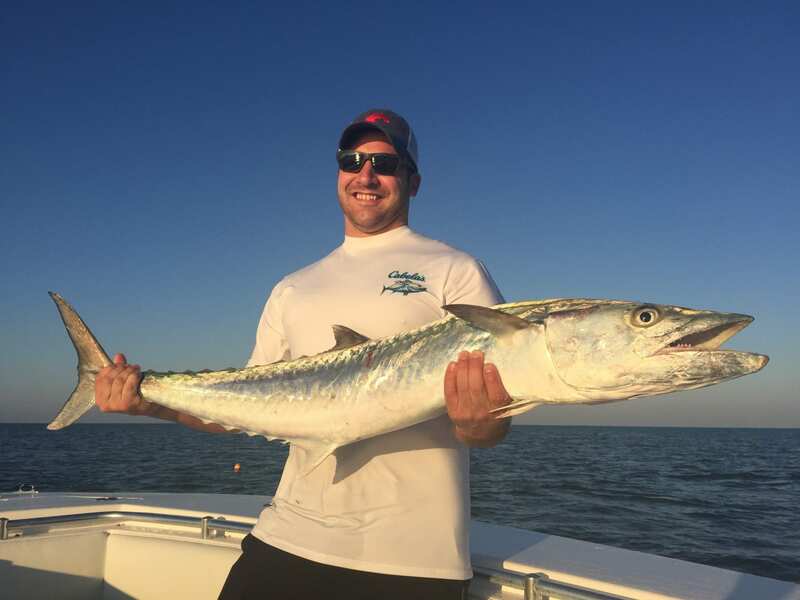 The king mackerel aka “kingfish” has all the makings of a superb predator and game-fish. 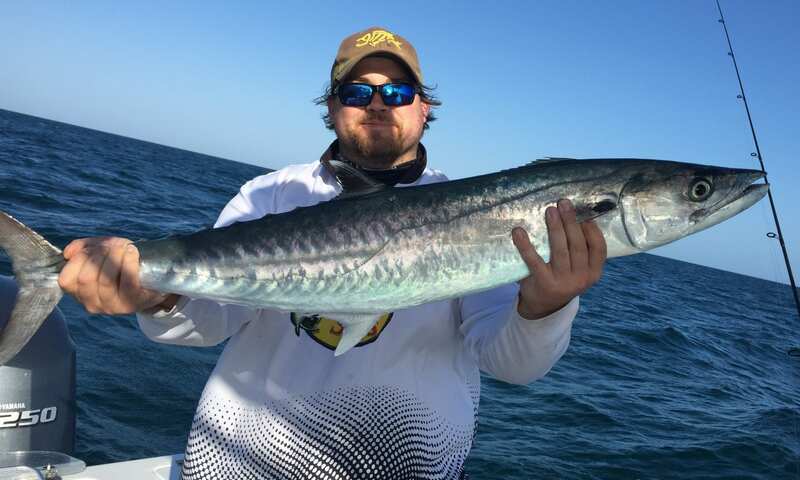 Speed, sharp teeth, forked tail, accessibility and drag screaming action are a few reasons why they are sought after. 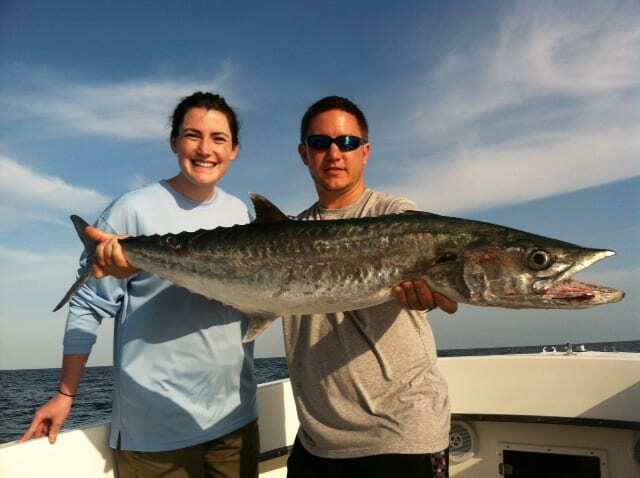 As far as food quality, they rank pretty low in quality, although smoking them and making fish spread can be delicious! 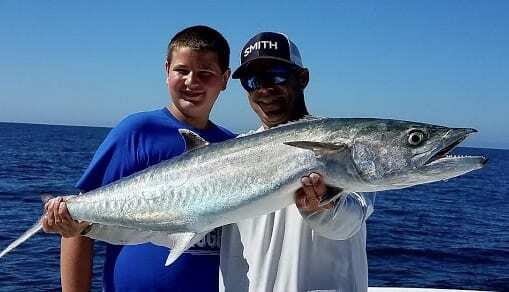 There are many local and national tournaments that are on all year for kingfish. 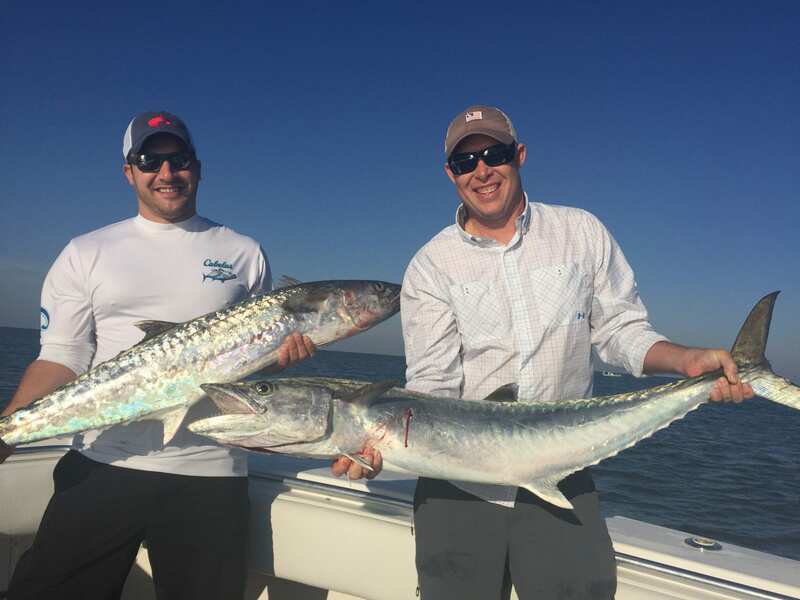 Teams from Florida to North Carolina and as far west as Texas compete for the biggest fish and often large amounts of cash! 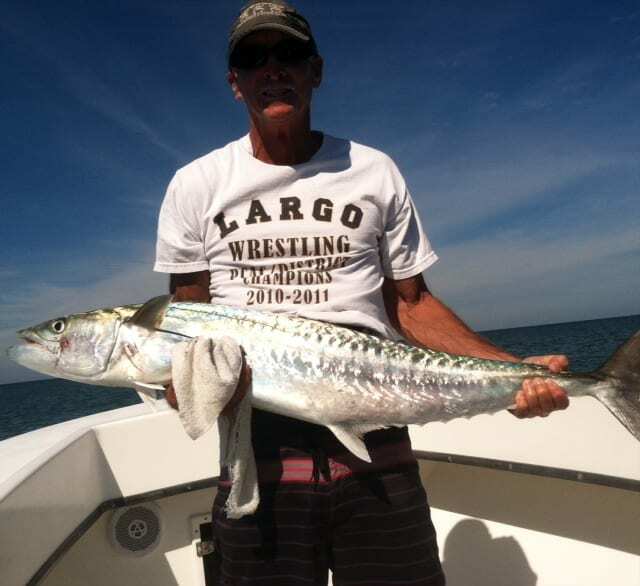 The most notable tournaments in the Clearwater area is the old salts the king of the beach. 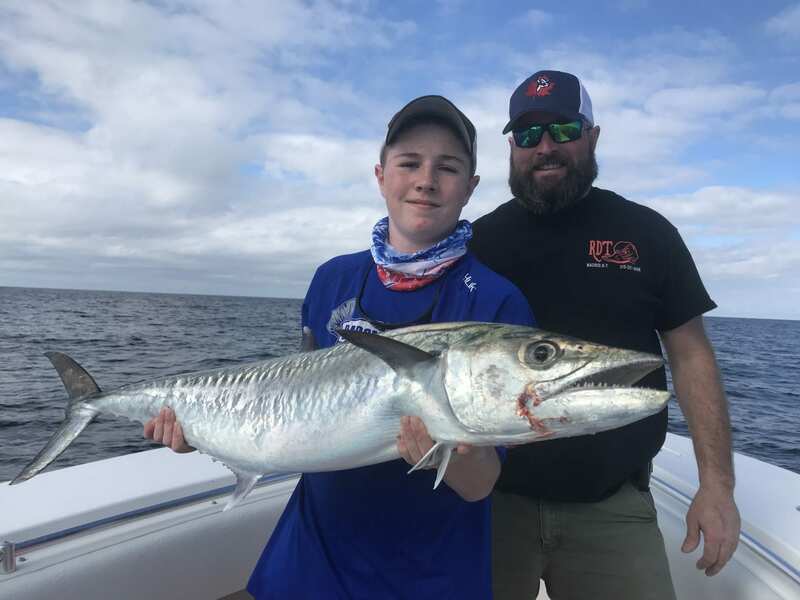 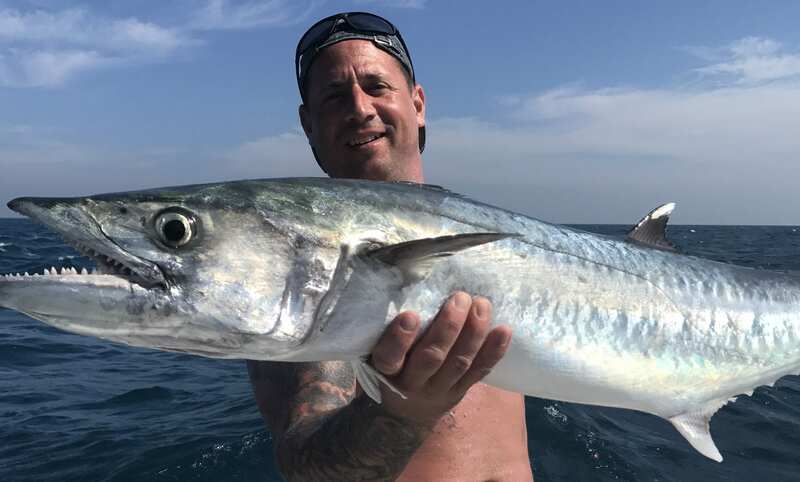 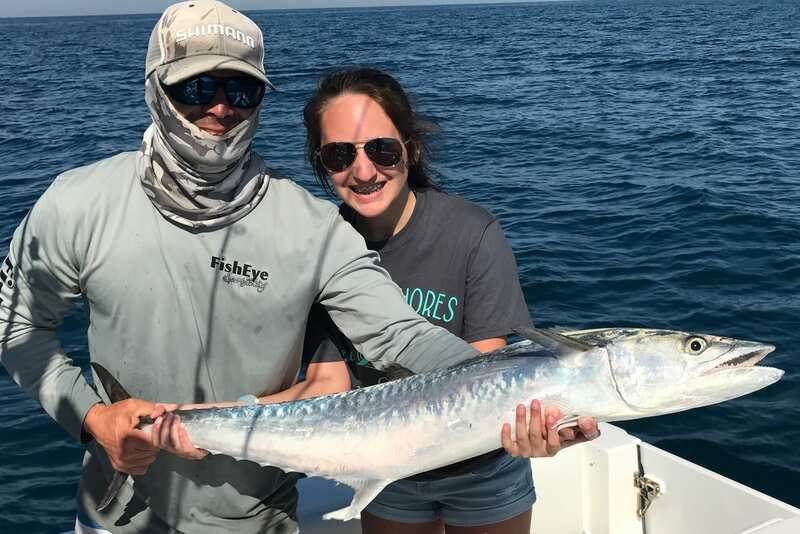 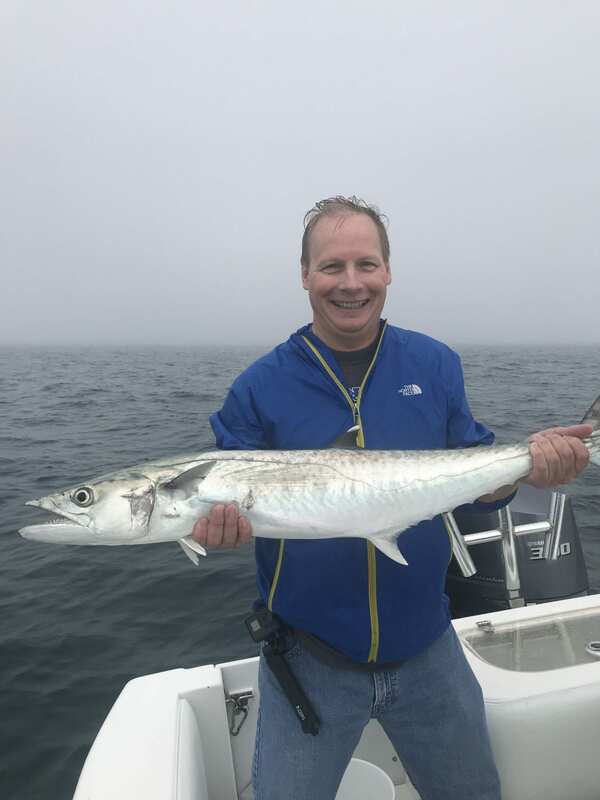 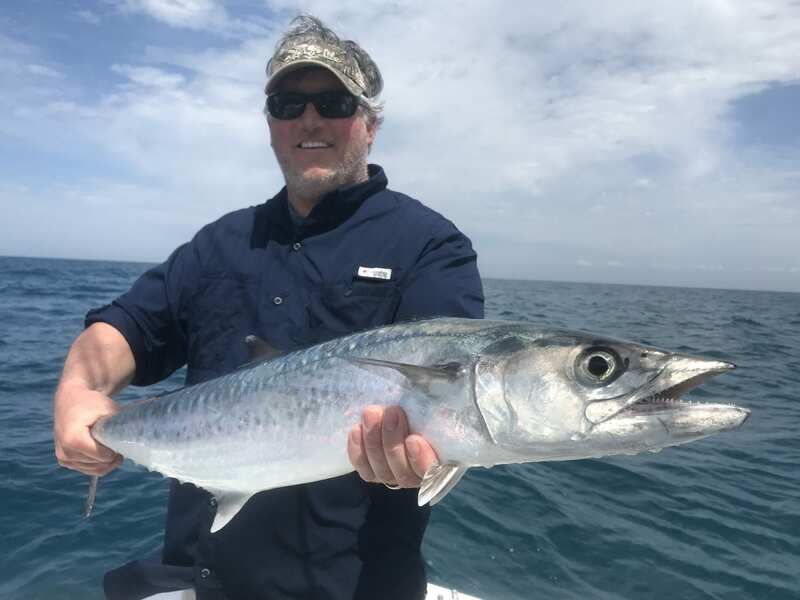 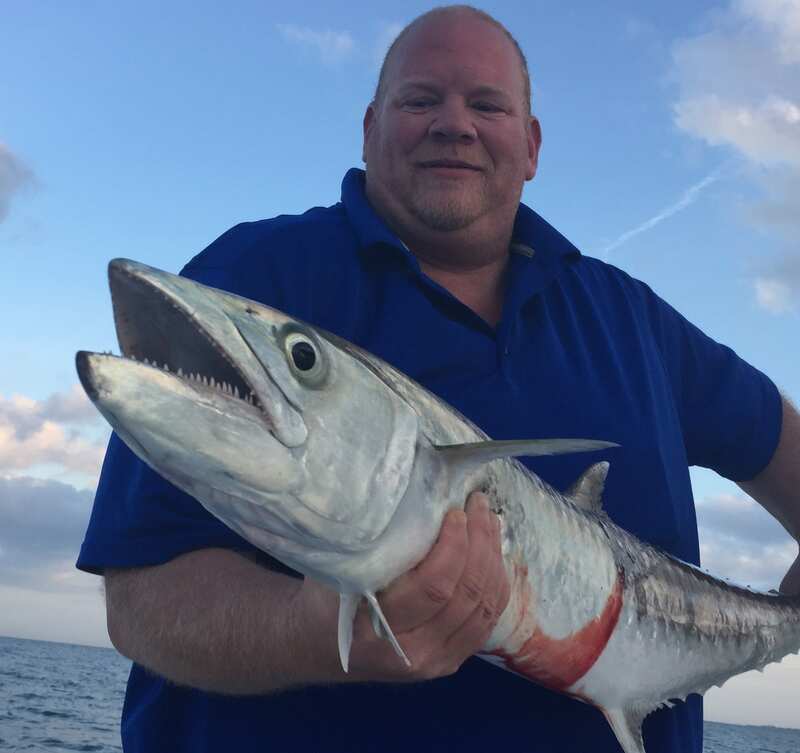 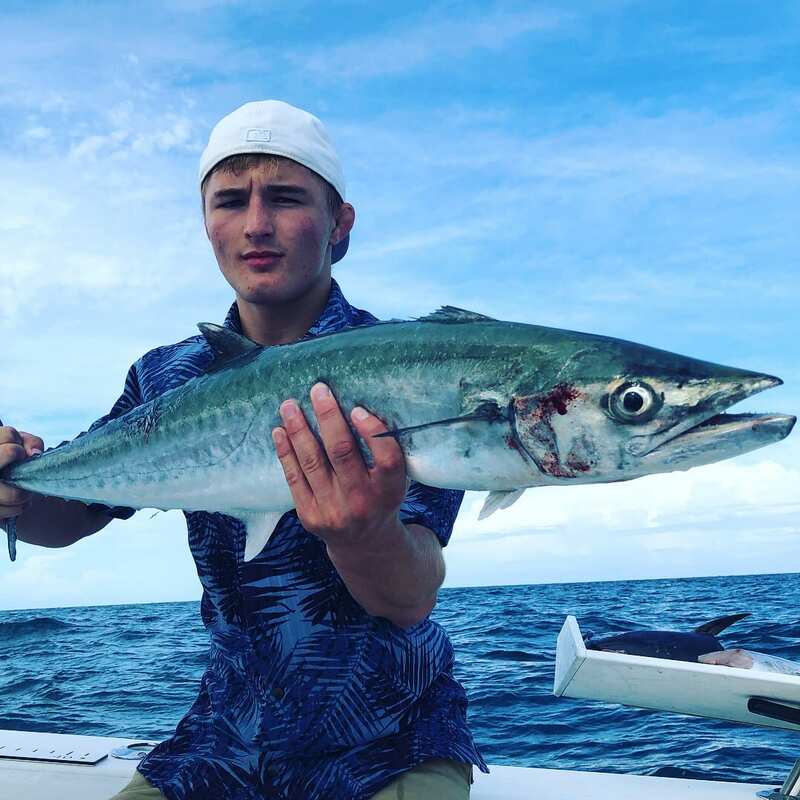 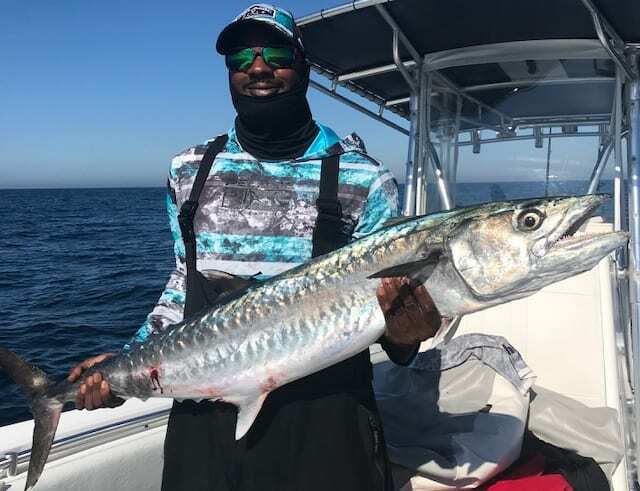 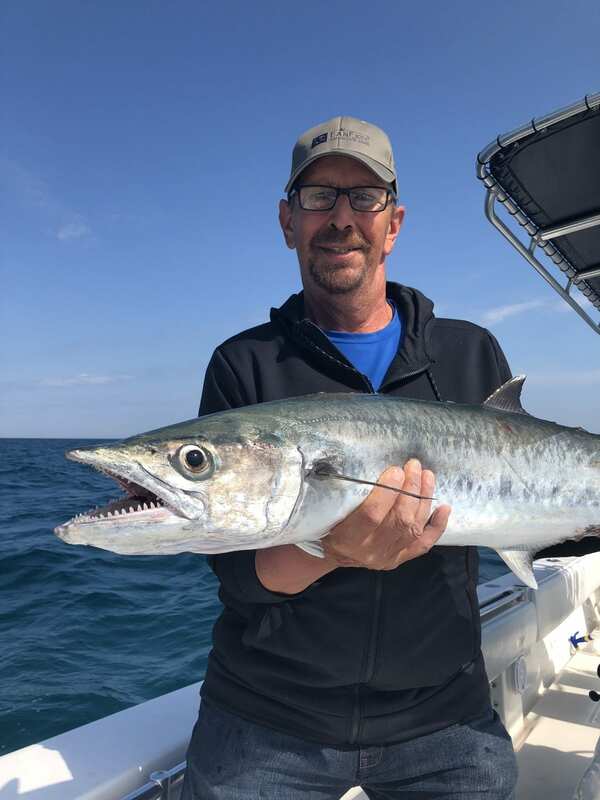 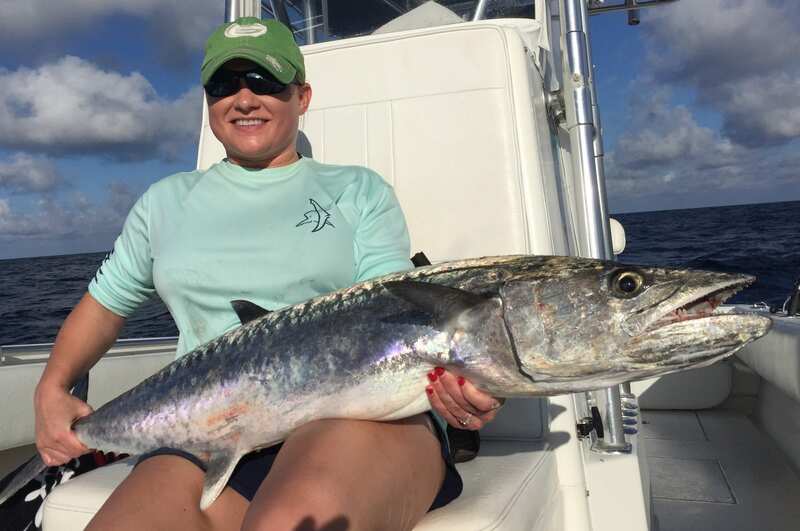 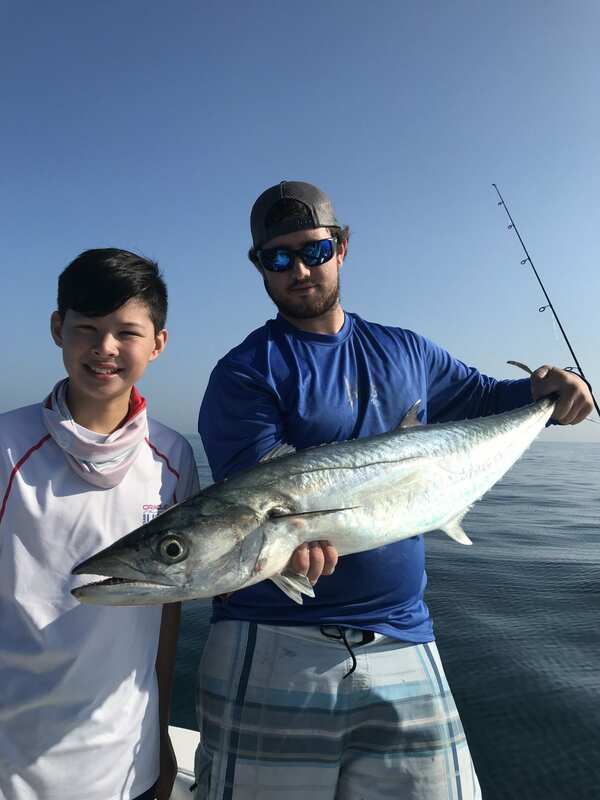 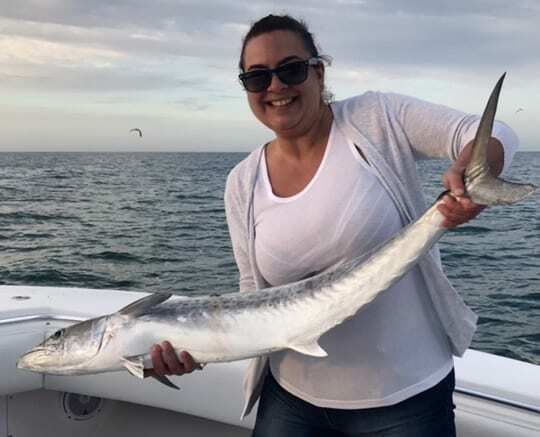 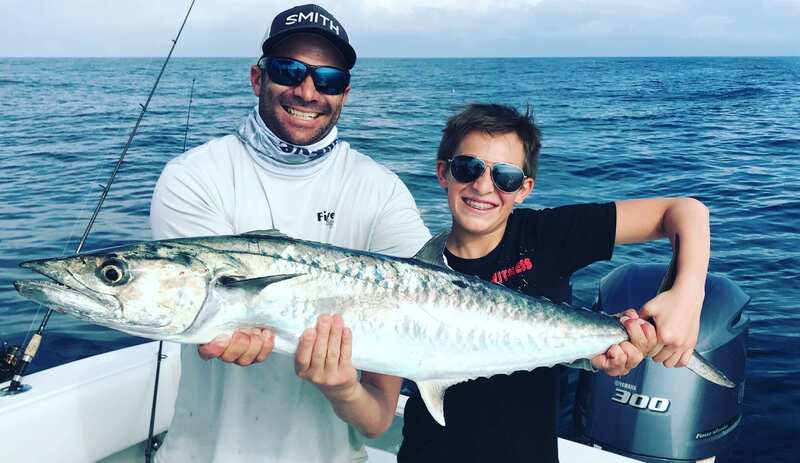 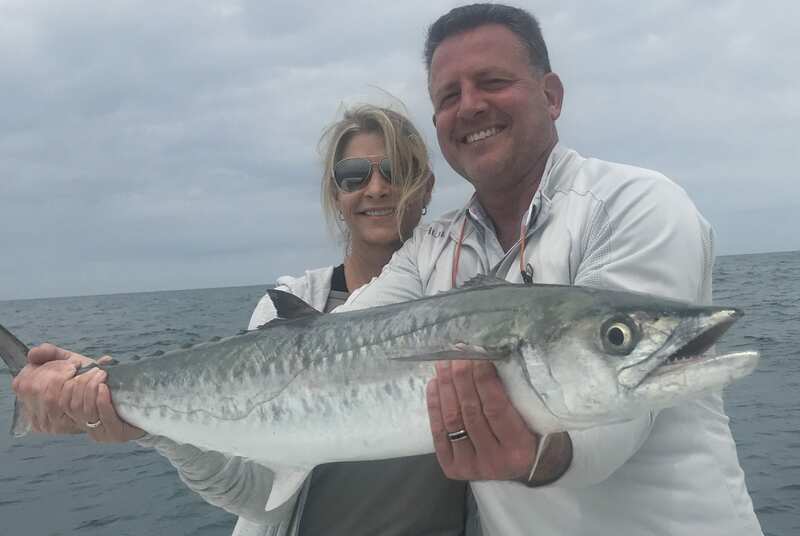 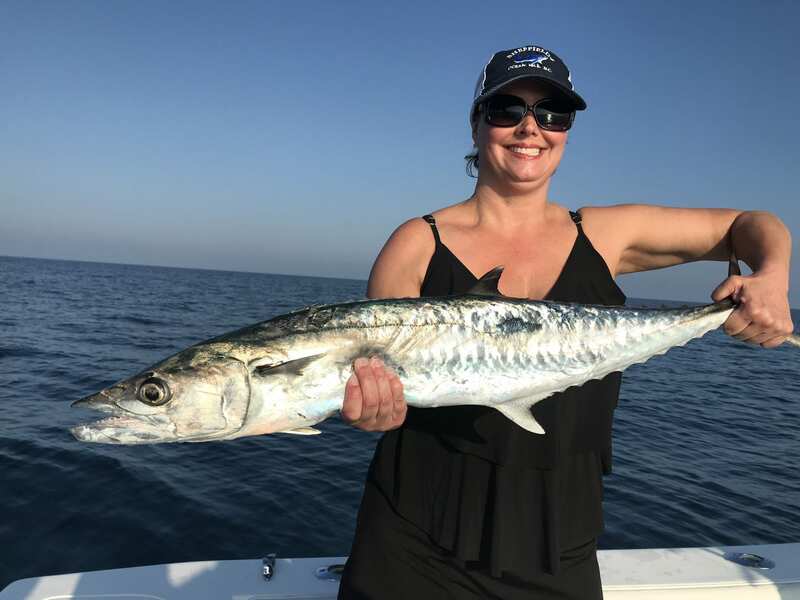 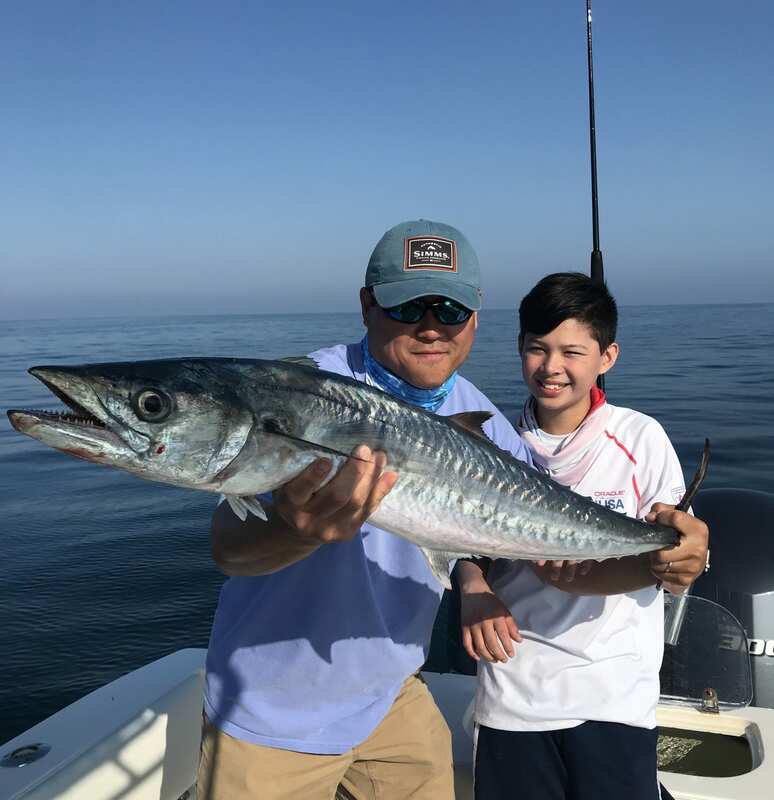 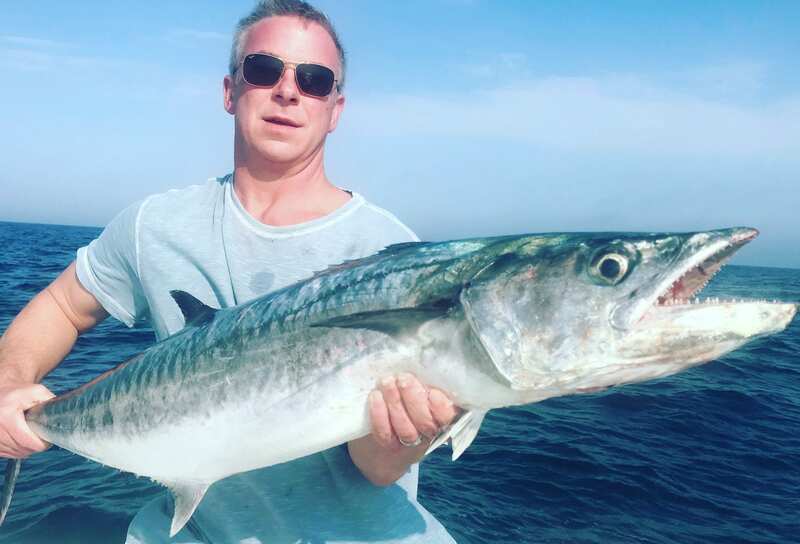 On charters, we typically live bait fish for kings, meaning either slow trolling blue runners or anchoring and live chumming them with sardines. 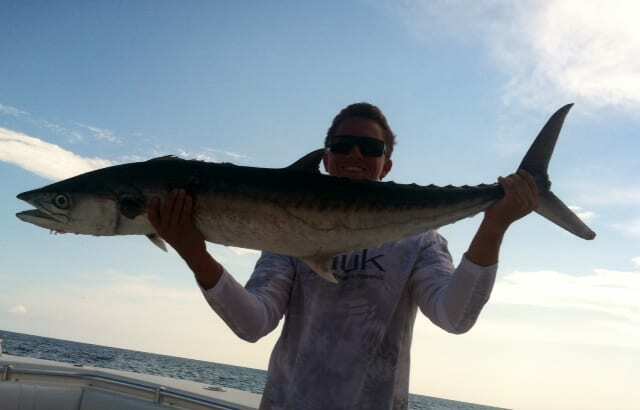 The later of the two is my personal favorite because it allows for light tackle and very exciting top-water strikes. 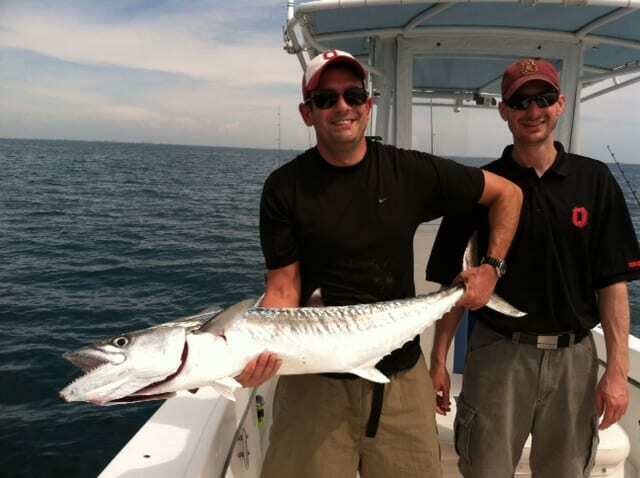 The kings live to sky or fly out of the water in pursuit of the bait. 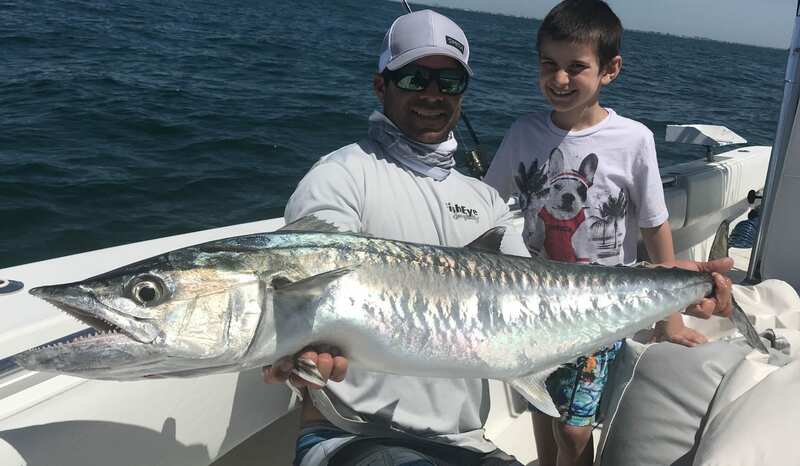 Wire leaders are a must for these toothy speed demons! 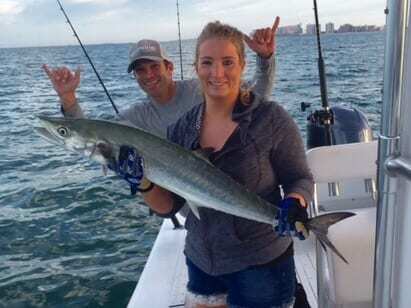 Here’s a video of our king mackerel fishing charter in Clearwater, we were anchored and live chumming them. 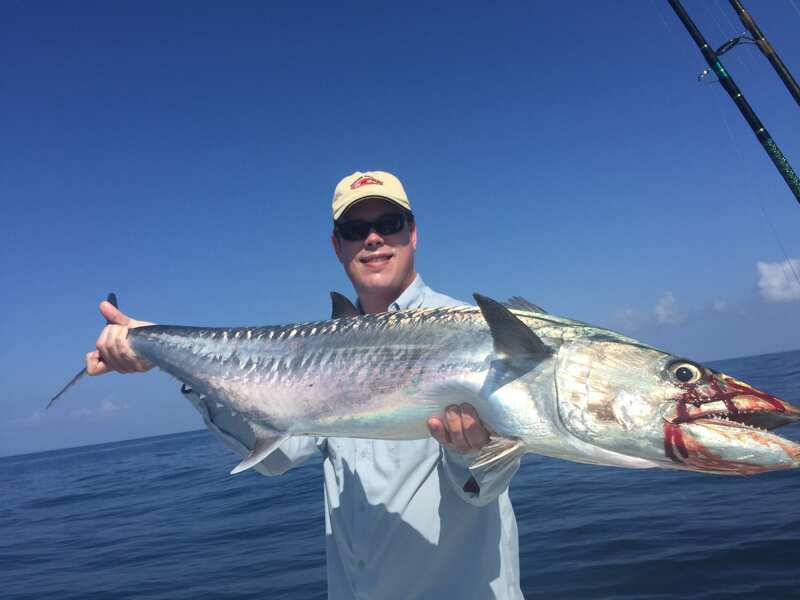 As with all saltwater game-fish, they have a unique season and size limits to protect the species for future generations to enjoy. 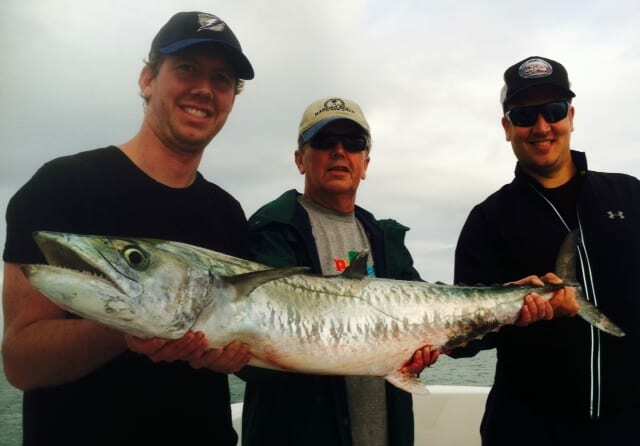 Here’s the link for everything you need to know about King Mackerel.